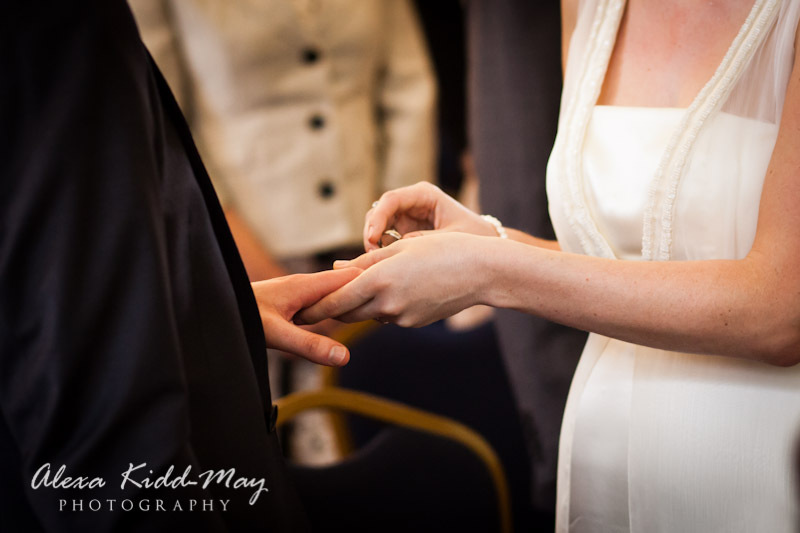 Posted November 30th, 2013 by alexa & filed under Weddings. 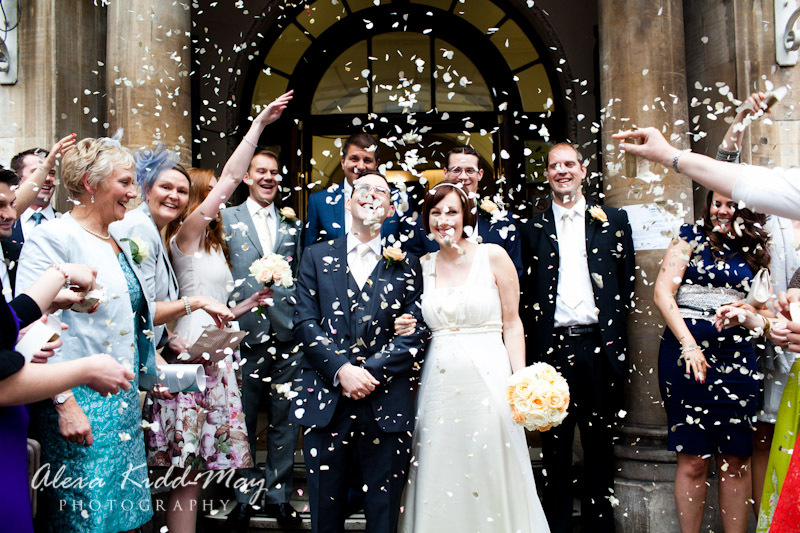 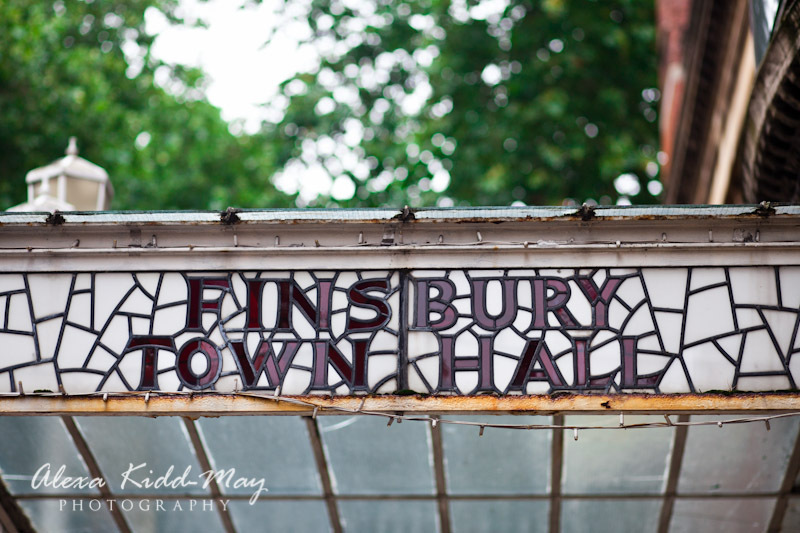 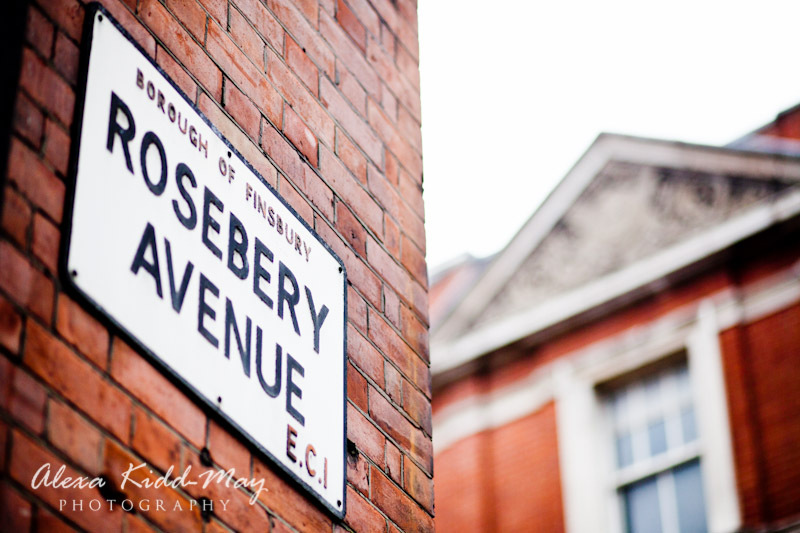 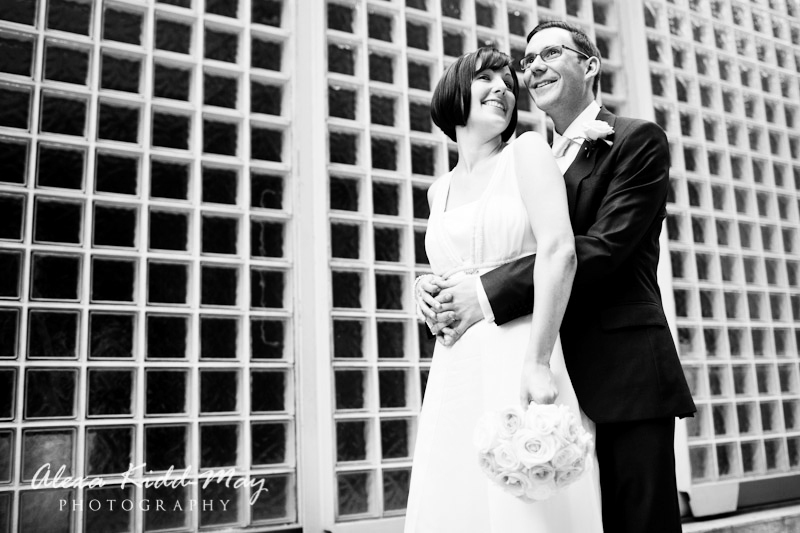 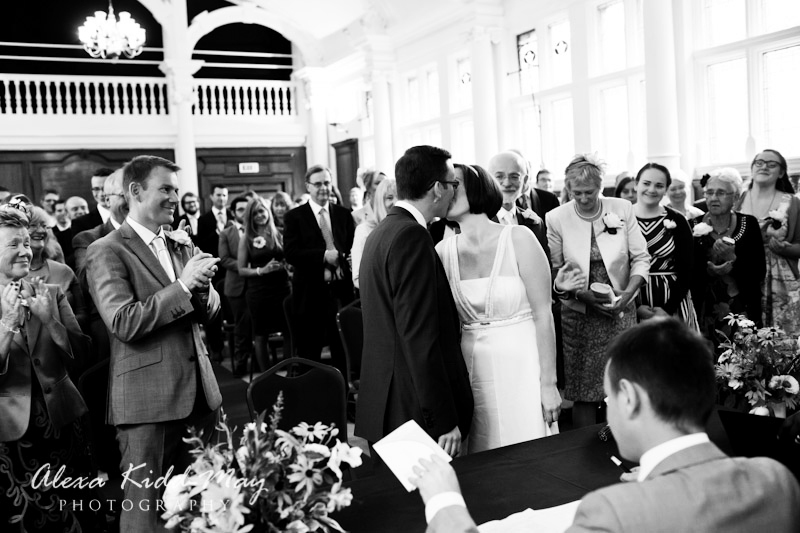 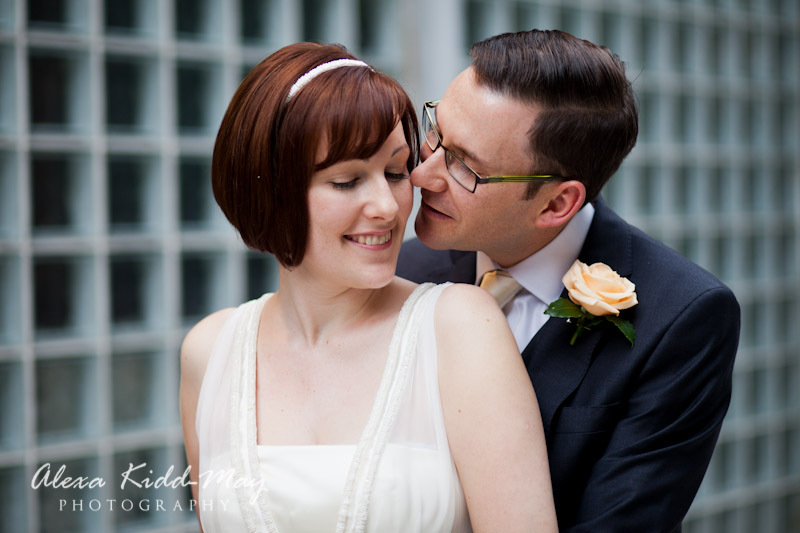 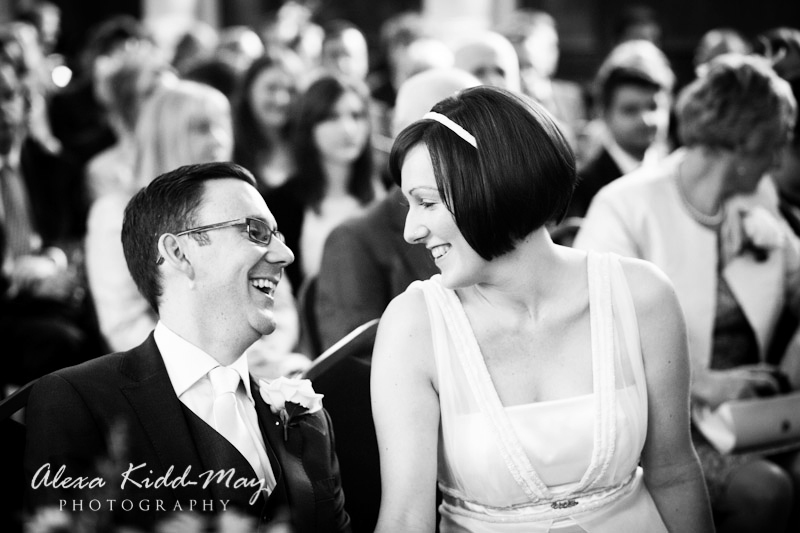 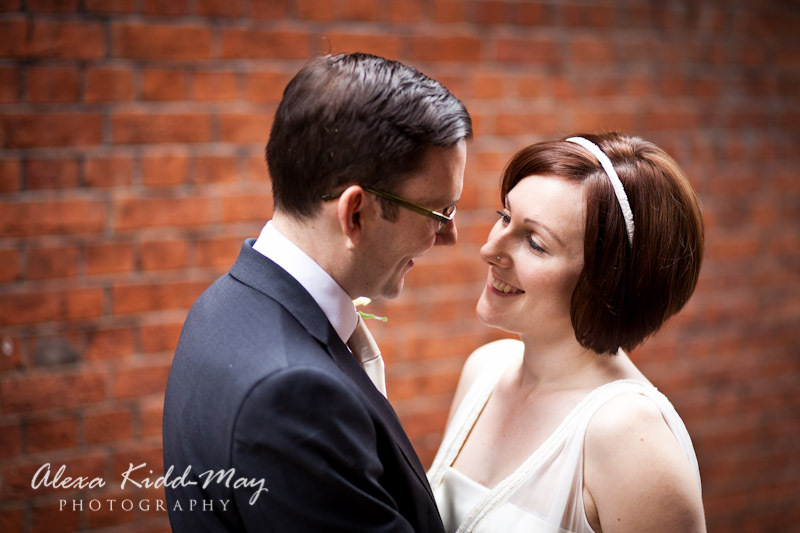 Giles and Heather were married on a late September afternoon in the stunning Old Finsbury Town Hall on Rosebery Avenue. 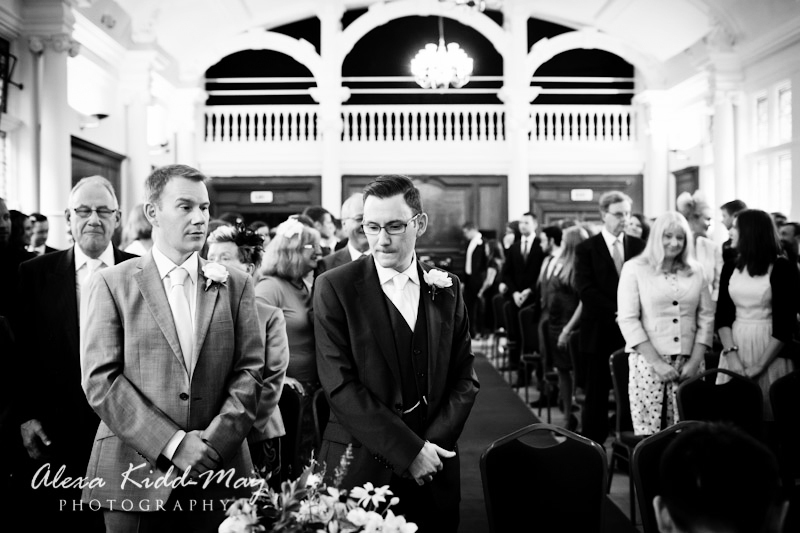 It really was a truly special London wedding. 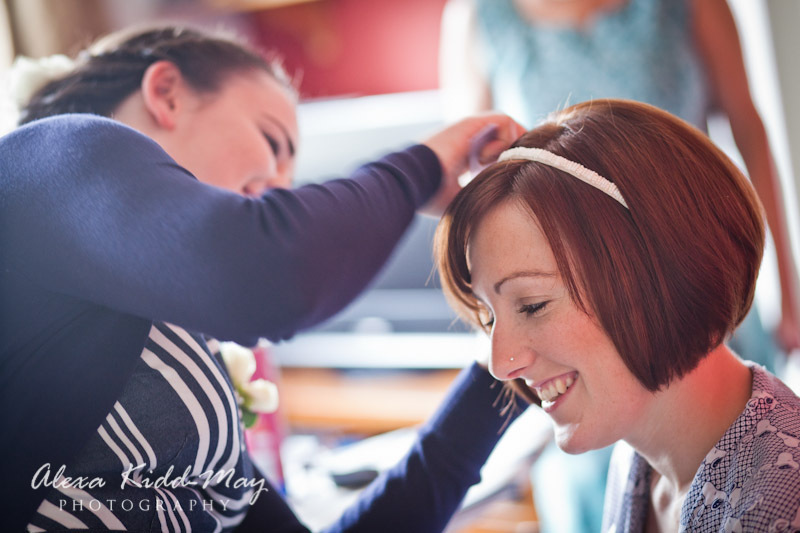 Heather’s day started in relaxed surroundings with her bridesmaid and family as they enjoyed the fun of all the bridal preparations. 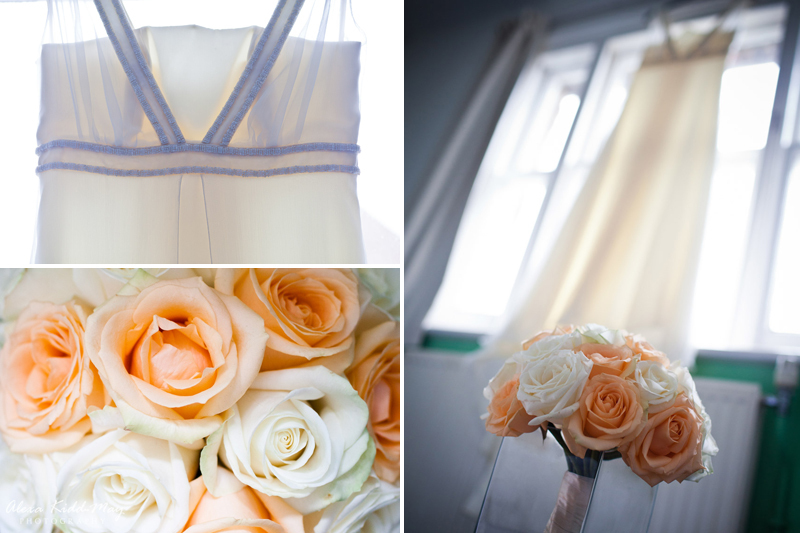 One of her talented sisters had made the gorgeous wedding dress. 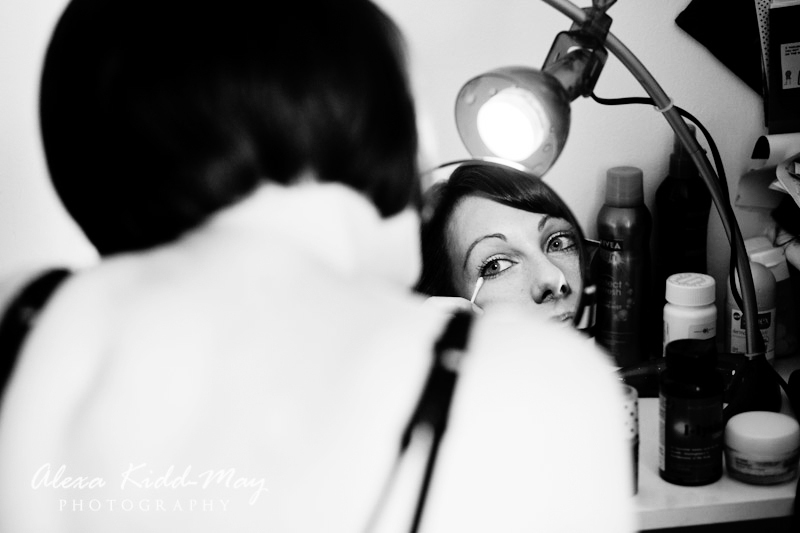 It was fantastic to capture some of the moments as they readied themselves for the day to come. 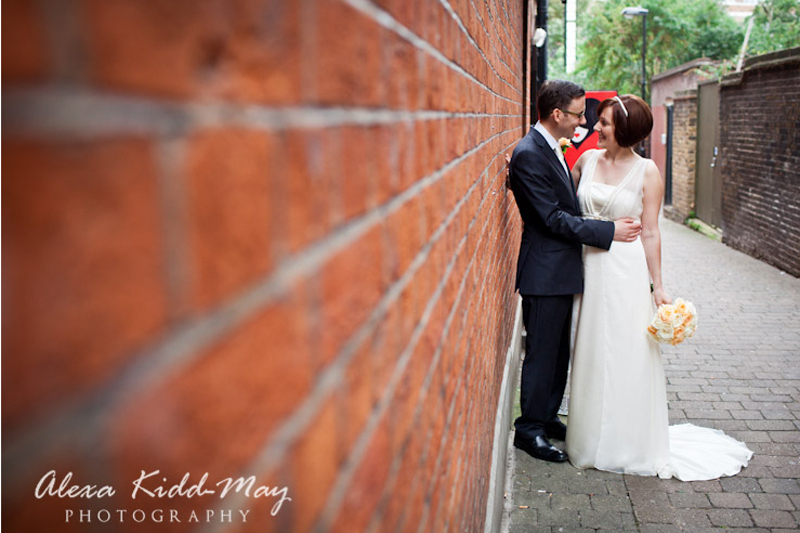 Keeping calm even when the taxi doesn’t arrive! 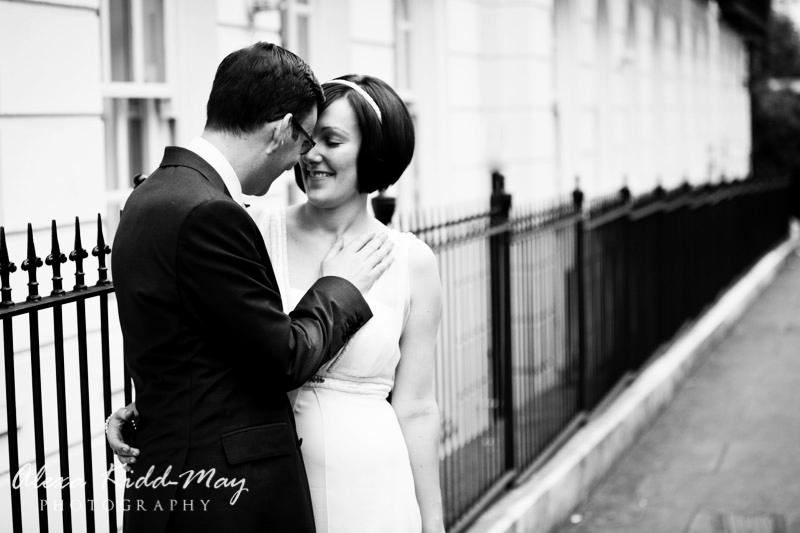 Even the failure of the taxi to arrive didn’t faze Heather at all. 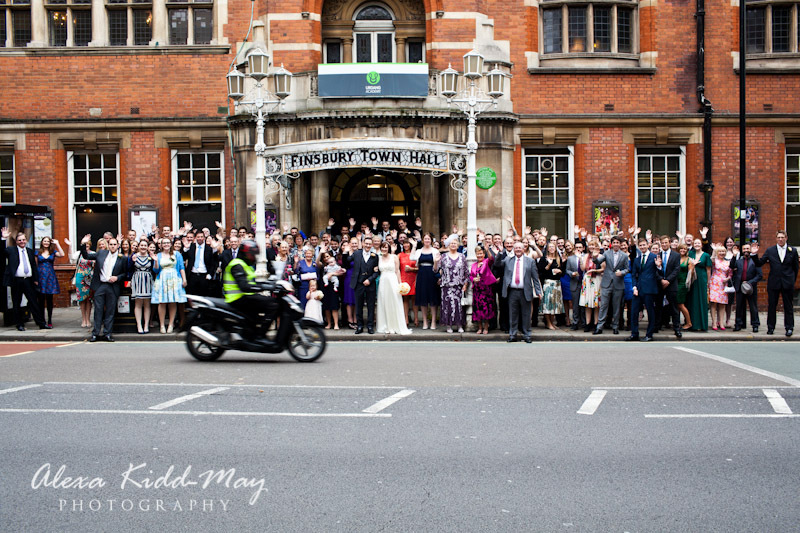 She calmly booked another one to take us to the Town Hall. 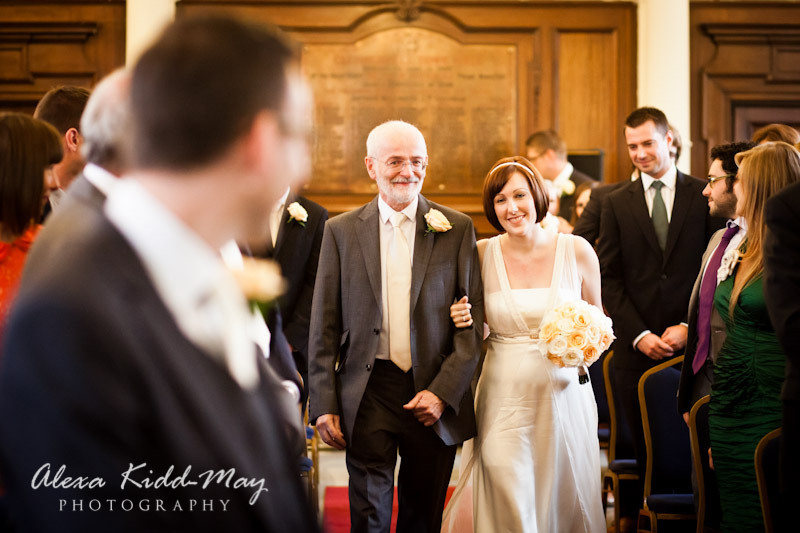 This meant we arrived fashionably late for the ceremony . 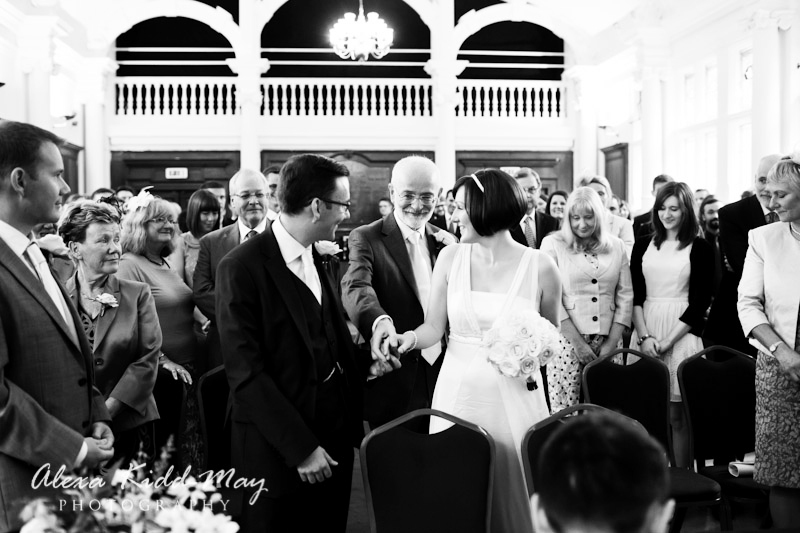 It was wonderful to see Giles turn to see his bride walk down the aisle accompanied by her father. 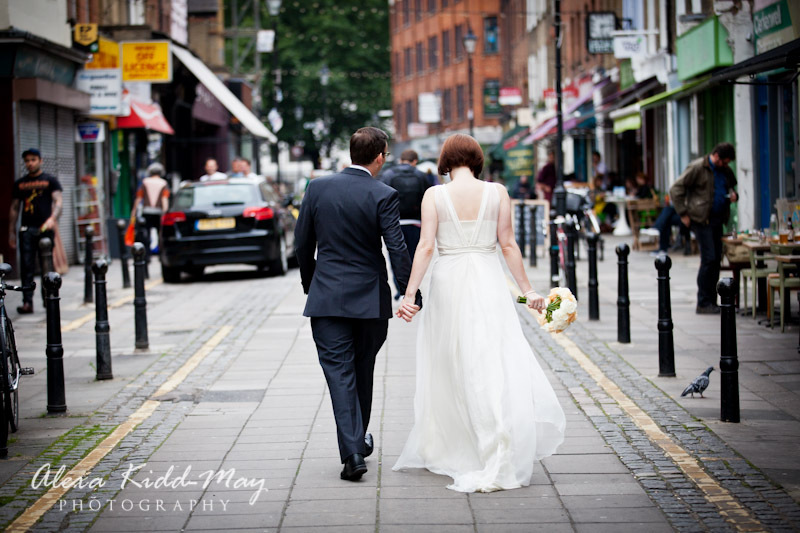 After the service we walked through the streets surrounding the Town Hall. 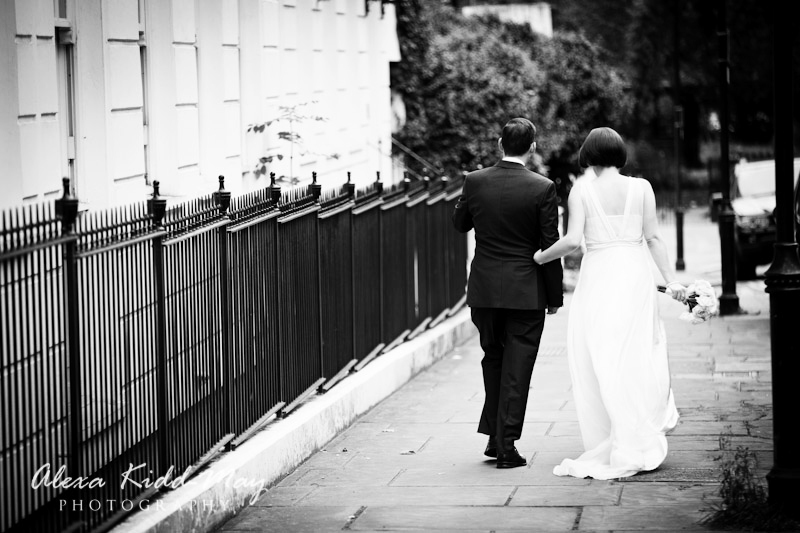 We managed to capture the elegant couple against the local background giving the reminiscence of a bygone age. 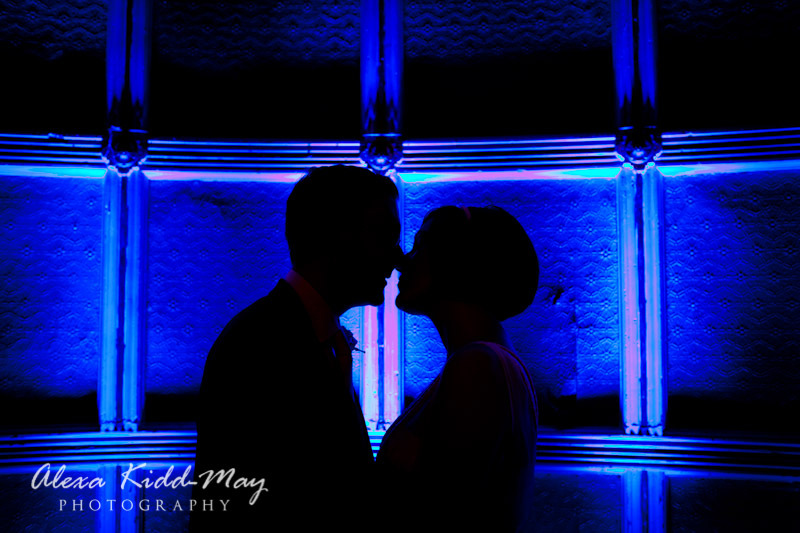 From there it was back to the fabulous Great Hall where the party started in earnest as Heather and Giles mingled with their guests late into the night. 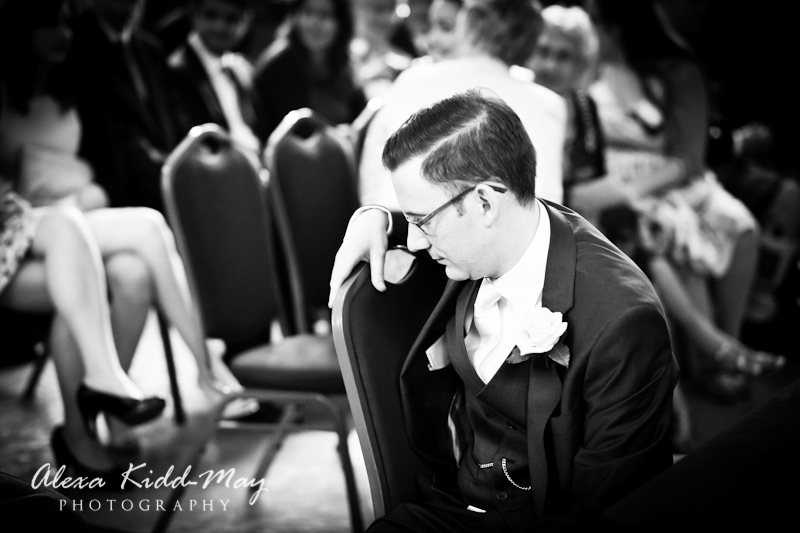 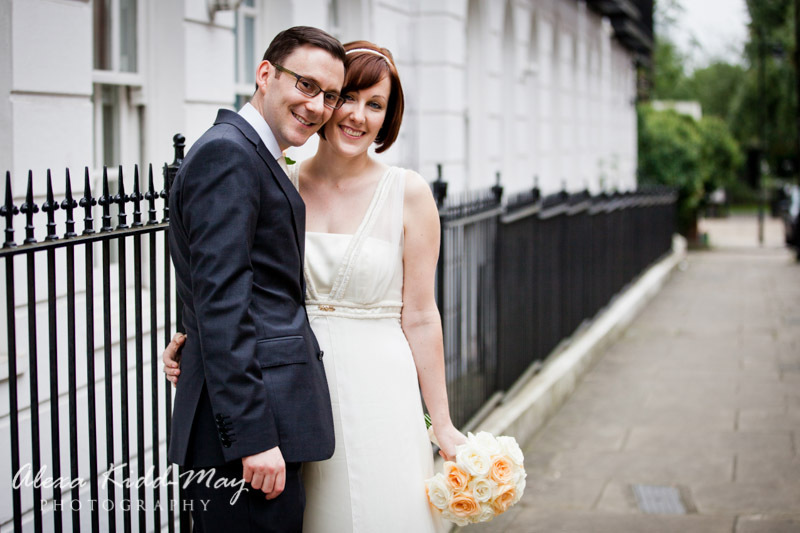 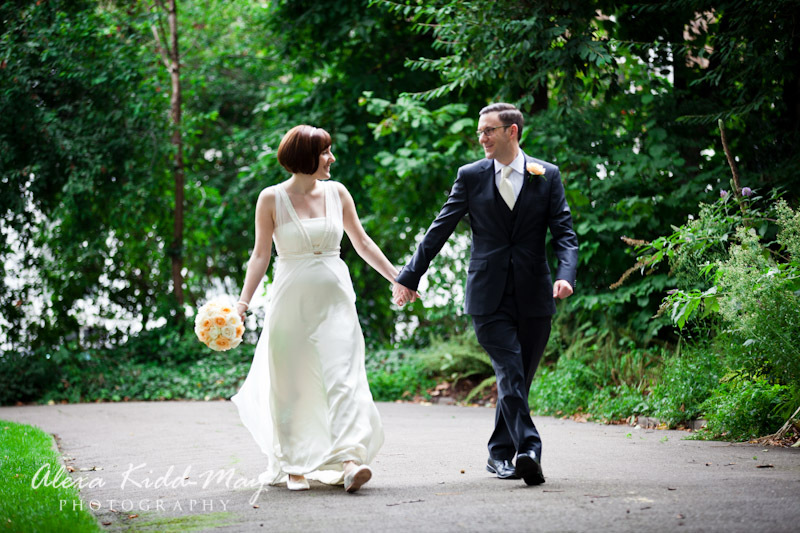 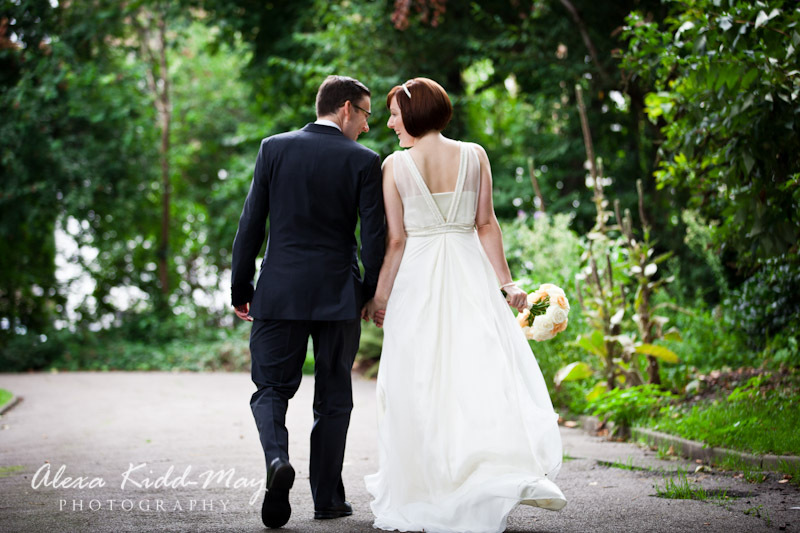 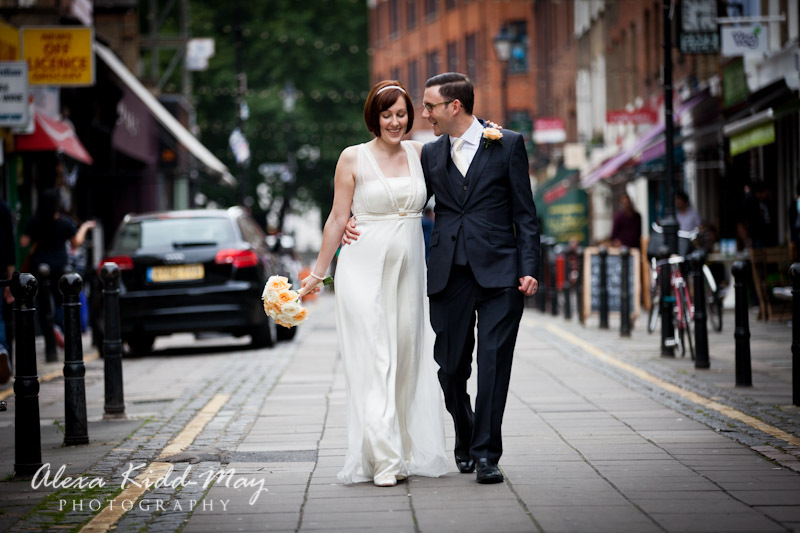 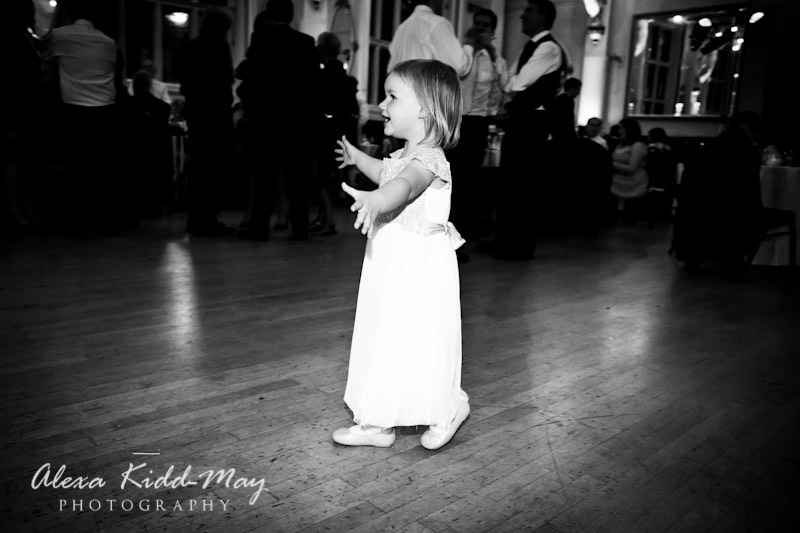 Hope you enjoy seeing a selection of the photos from this elegant North London wedding.